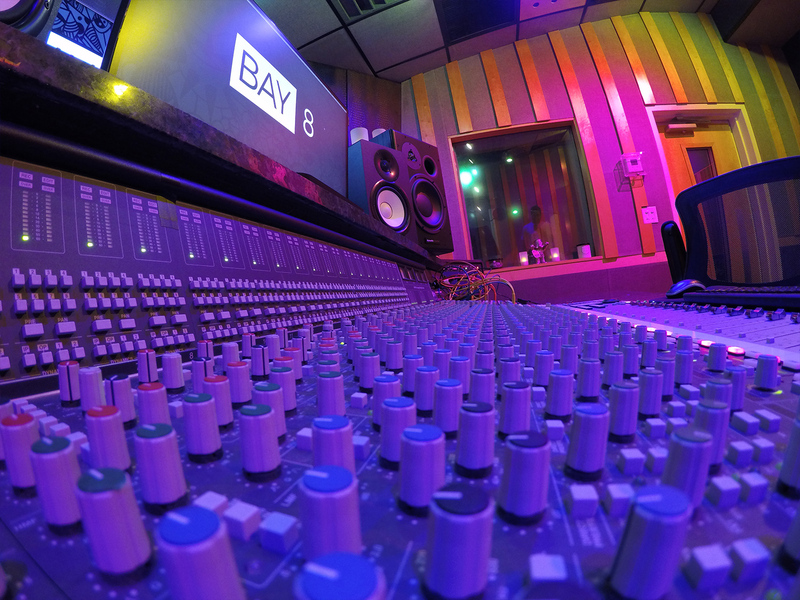 Bay Eight Studios, formerly known as Midnight Blue Studios, was the creative vision of Grammy Award winning producer Fabio "Estefano" Salgado. 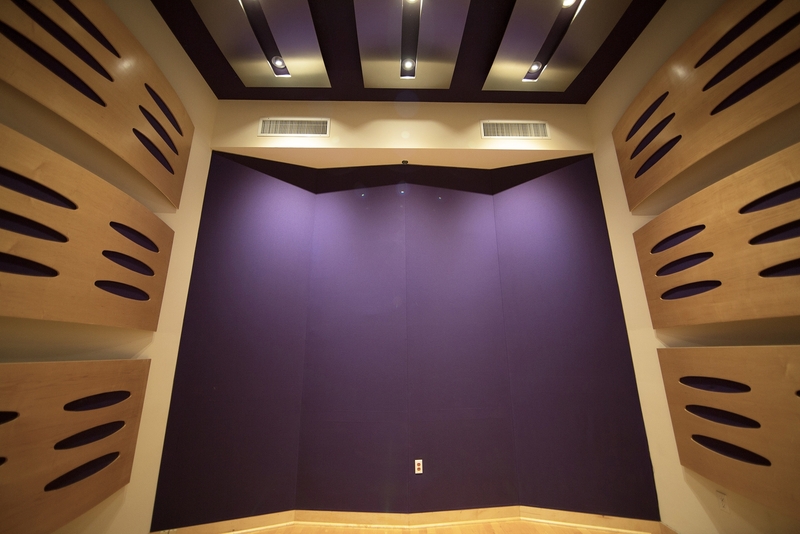 Estefano contracted noted acoustician John Arthur and award winning mastering engineer Chris Lambert for the design and construction of his facility in early 2000. 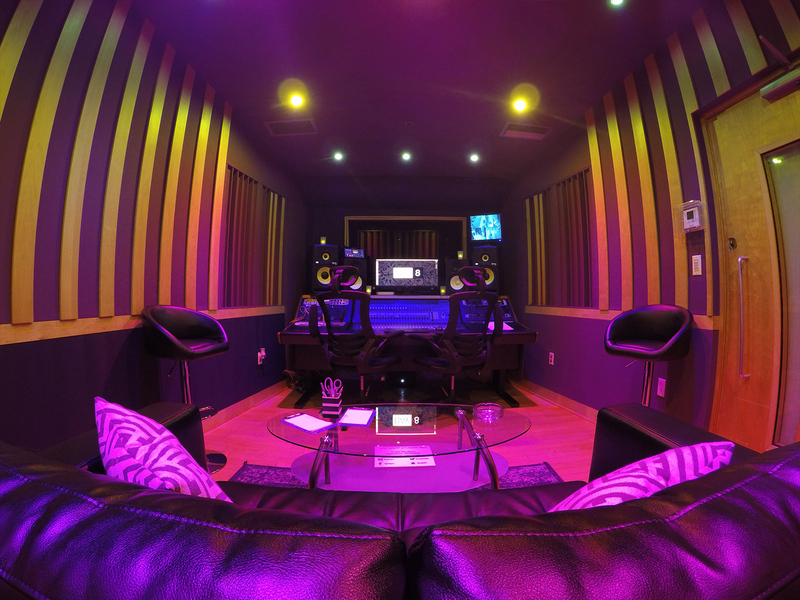 In 2015, Matthew DeFretias purchased the three-studio facility from subsequent owner and Grammy Award winning producer Marco “Infamous” Rodriguez-Diaz, renaming it Bay Eight Recording Studios. 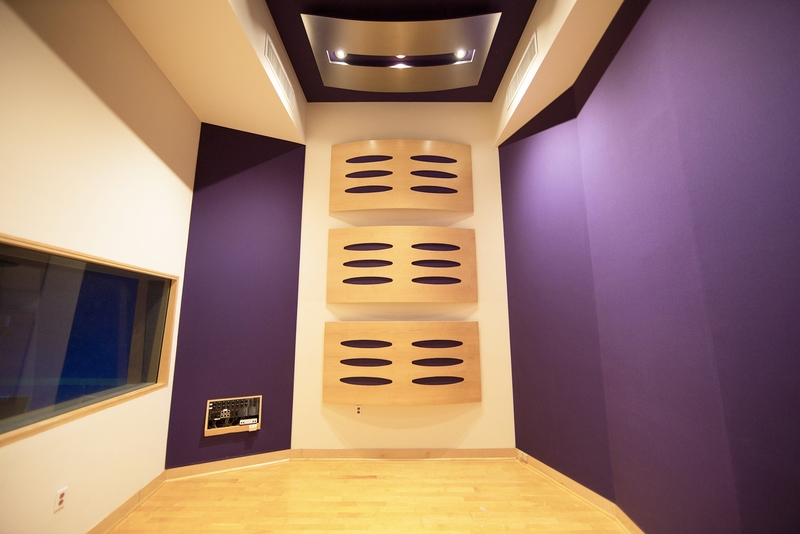 Bay Eight Studios offers two primary recording spaces acoustically isolated with great lines of sight for easy visual communication. 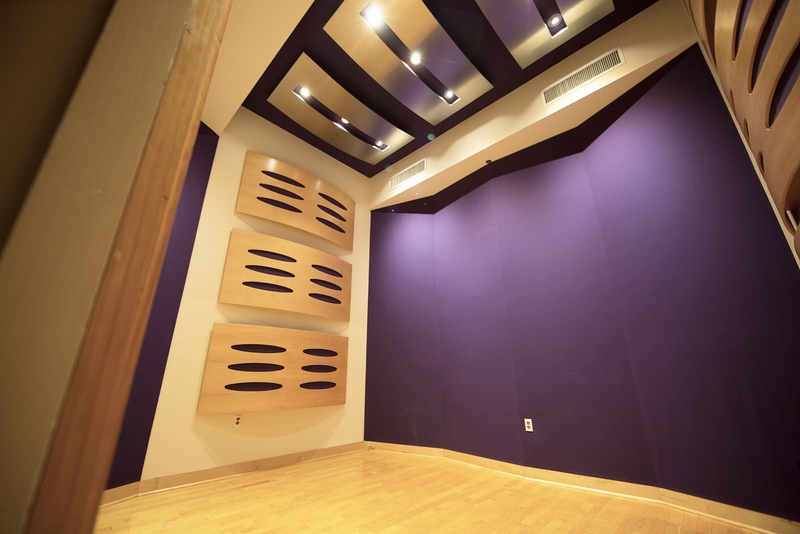 Bay Eight also features many specialized custom construction techniques that make it one of the most unique recording studios in Miami. 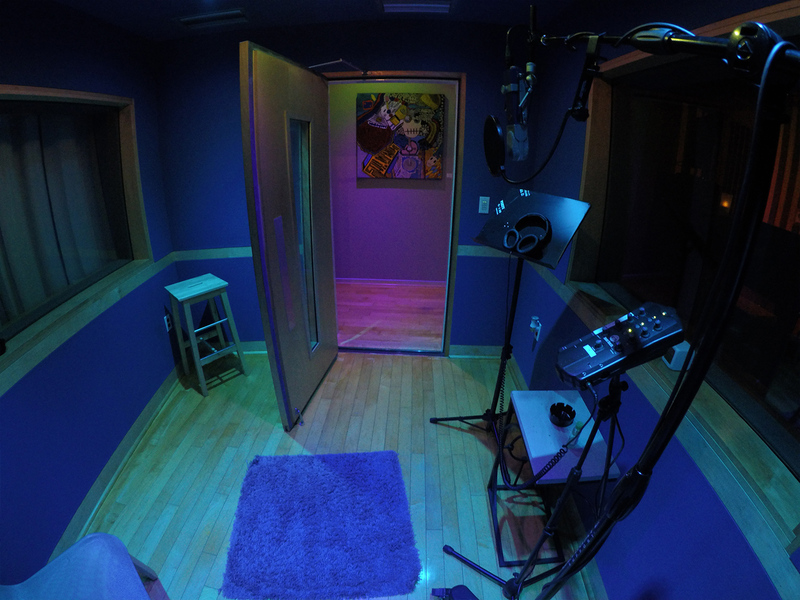 Our recording spaces are warm, welcoming, and clean. 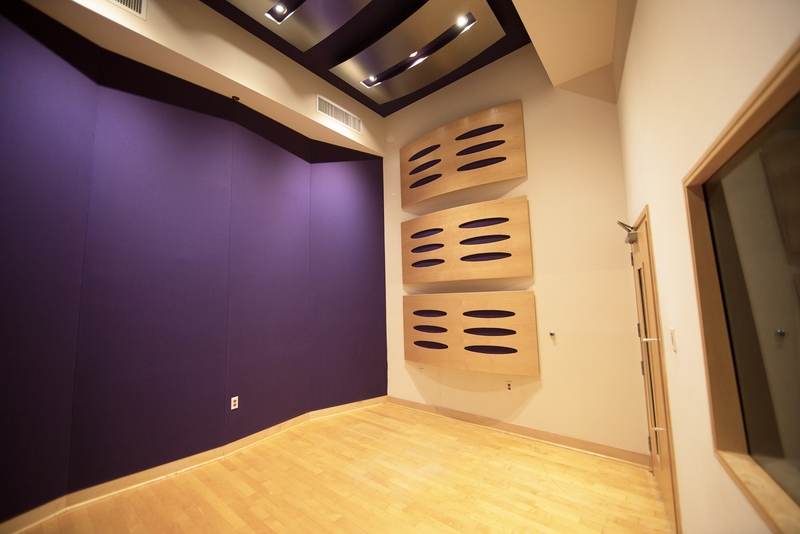 Our control rooms feature beautiful hardwood floors, top of the line acoustic treatment, and technologies in noise vibration diffusion. 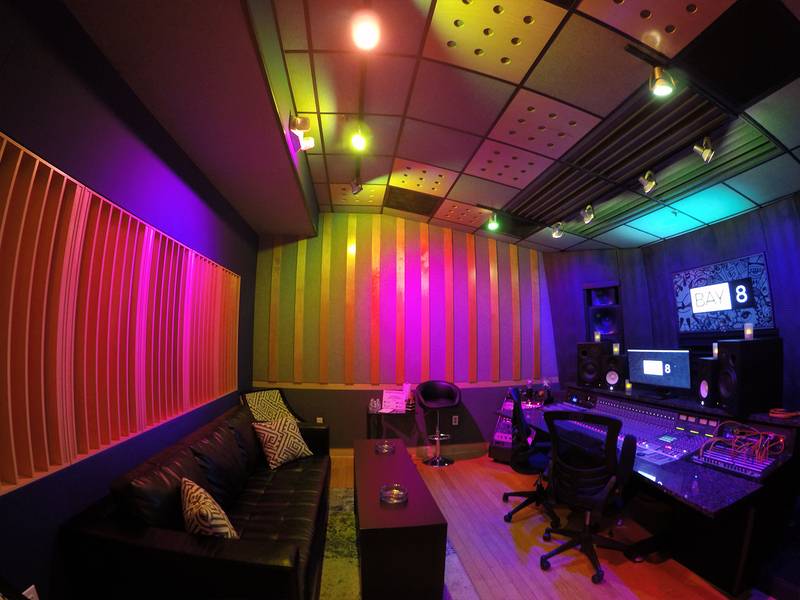 The facility is complimented by deep rose purple and exotic blue lavender lights. 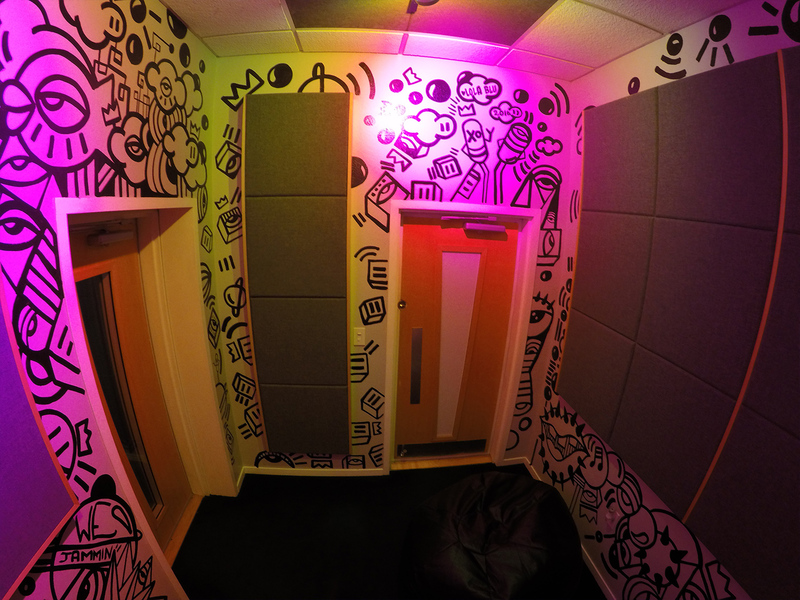 The eccentric art and hand painted murals placed throughout our facility are courtesy of Miami visual artist LOLA BLU, and Chinese contemporary pop artist Weiyi Fan. 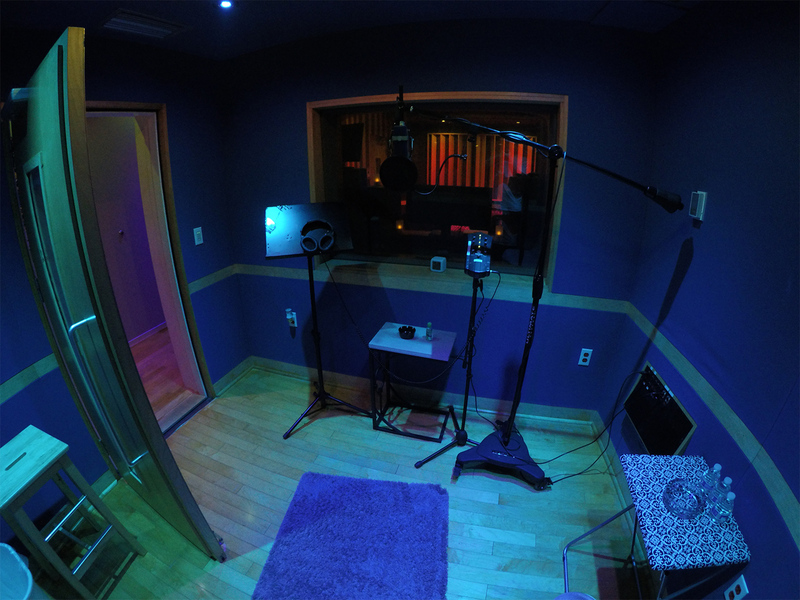 Miami is a destination location for recording. The surrounding neighborhood offers our clients a wide range of services, as well as a large selection of dining and drinking establishments.  We are located very close to freeway access points as well as public transportation. South Beach, and The Wynwood Art District are just a short ride away, taxi and Uber service are available 24 hours a day. 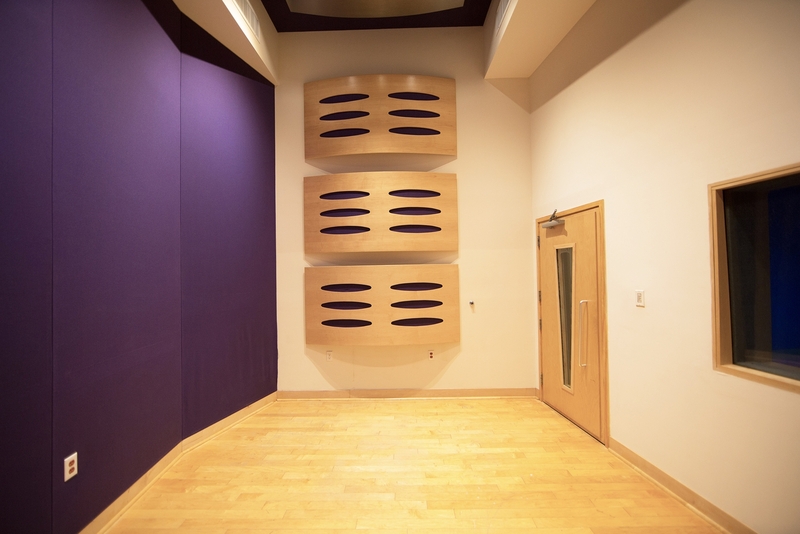 Our State-of-the-Art Facility provides three uniquely designed private recording studios. 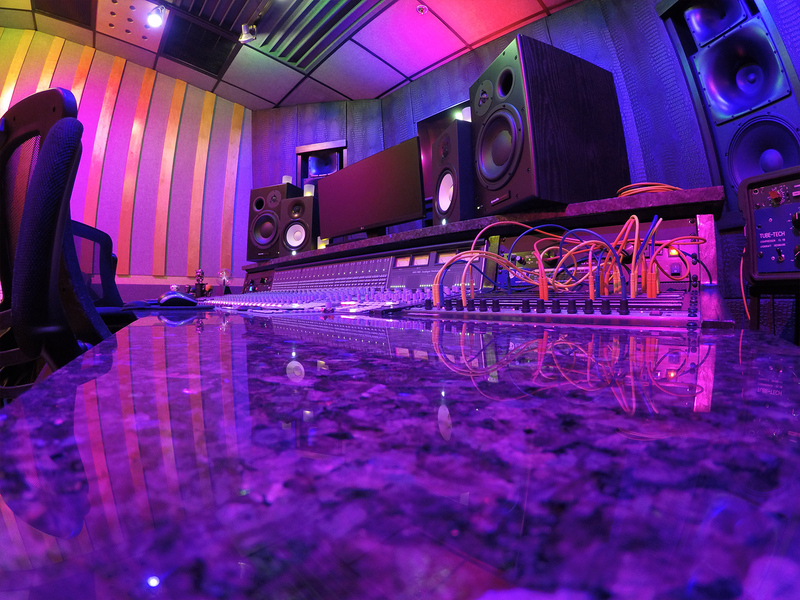 Each studio is individually tailored with top of the line equipment and breathtaking decor. 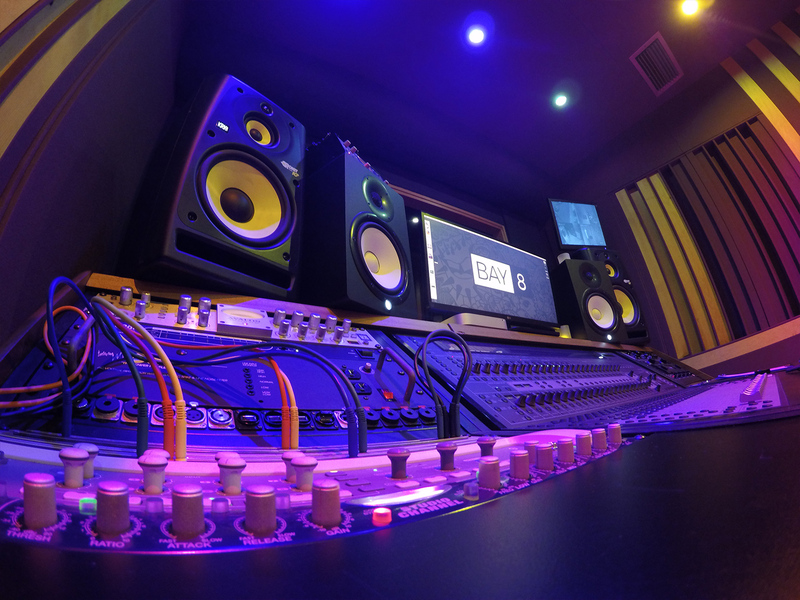 Bay Eight is A Grammy-Award Winning, Multi-Platinum recording studio located in the heart of Miami FL’s world-renowned Studio City. 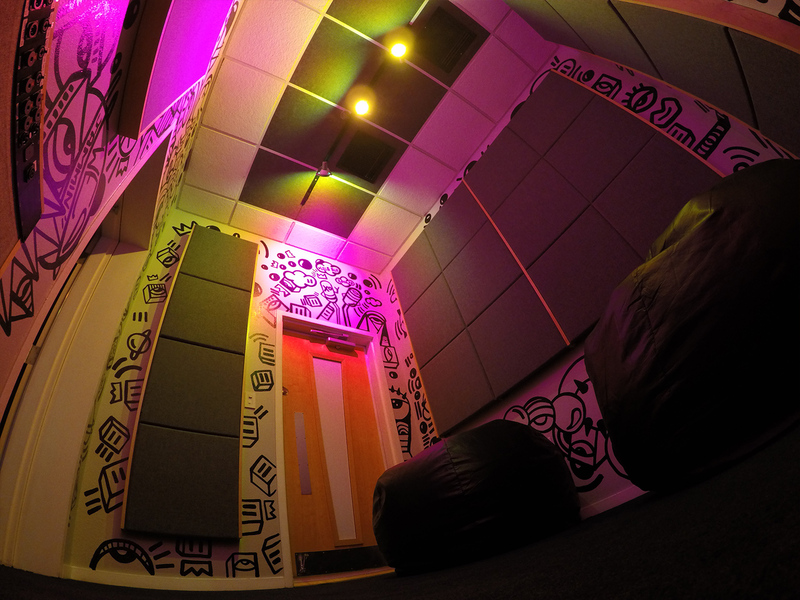 We strongly believe that the atmosphere you create in has a direct correlation to your mood. Therefore, it has an incredible impact on your music. 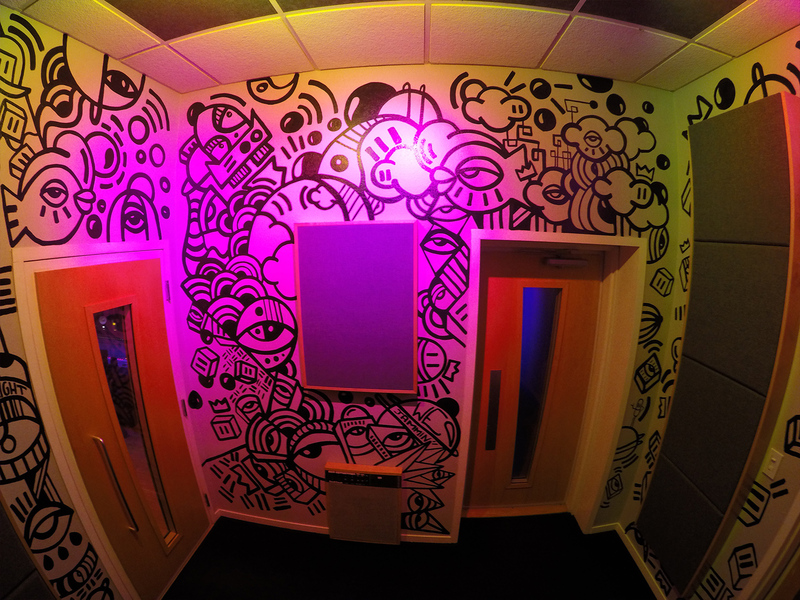 Our studios are decorated to inspire any artist. The rich and aromatic flavors of lavender, clean linen, and inspiration permeate the air flowing like the Ancient Rivers of Babylon. A gentle iridescence blends and morphs from room to room carrying a heightened sense of what it truly means to experience a vibe (imagine those "How It Feels To Chew 5 Gum" commercials, but like actually happening to your brain, ya know). Anyways, that initial visage of confusion wipes away upon entry to this sequestered auricular thunderdome of musical and hospitable ambidexterity. One must mentally prepare for this ever so elusive state of being "woke" yet only if one is prepared to accept doing so. 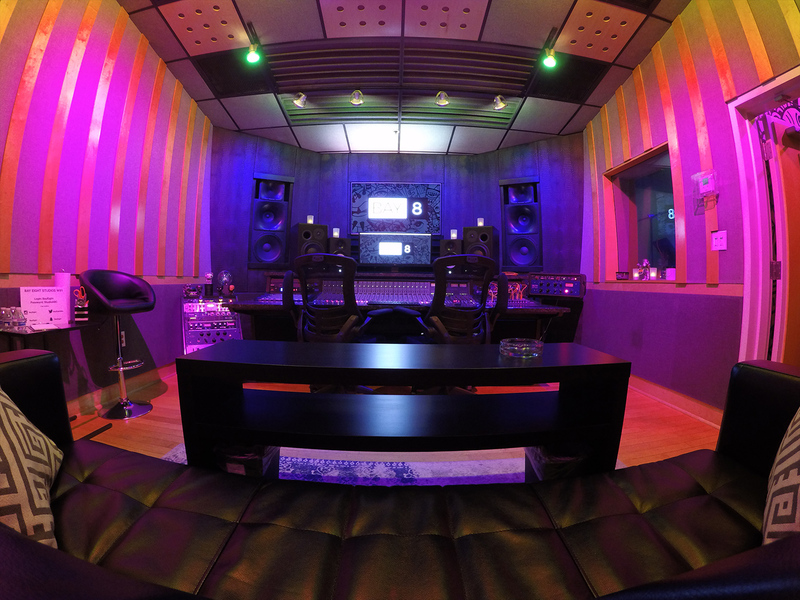 If music is the food of love, then Bay Eight Studios is a Michelin 3-Star rated buffet.  BAY 8 is the dopest close knit studio established in Miami. The vibe here speaks from the minute you hit the door to second you leave. 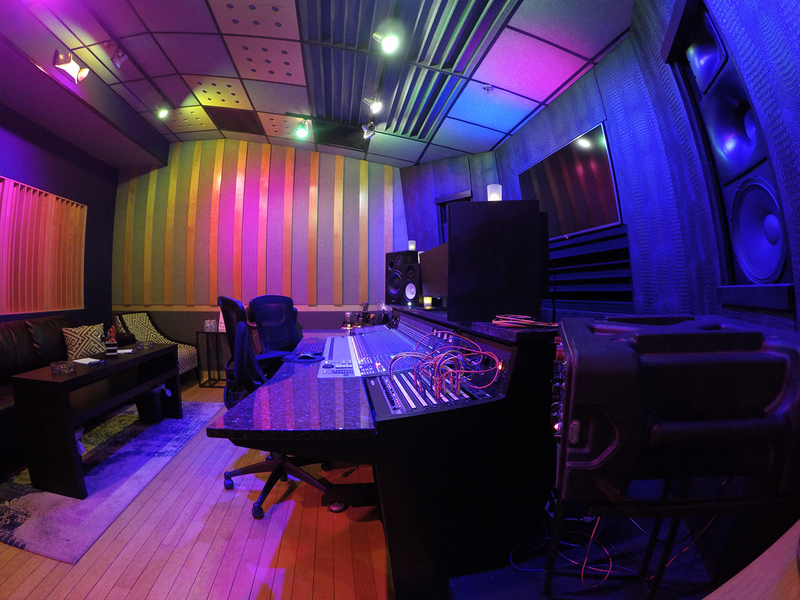 The staff is well versed and engineers are unlike so many others where skill and vibe blend as one. 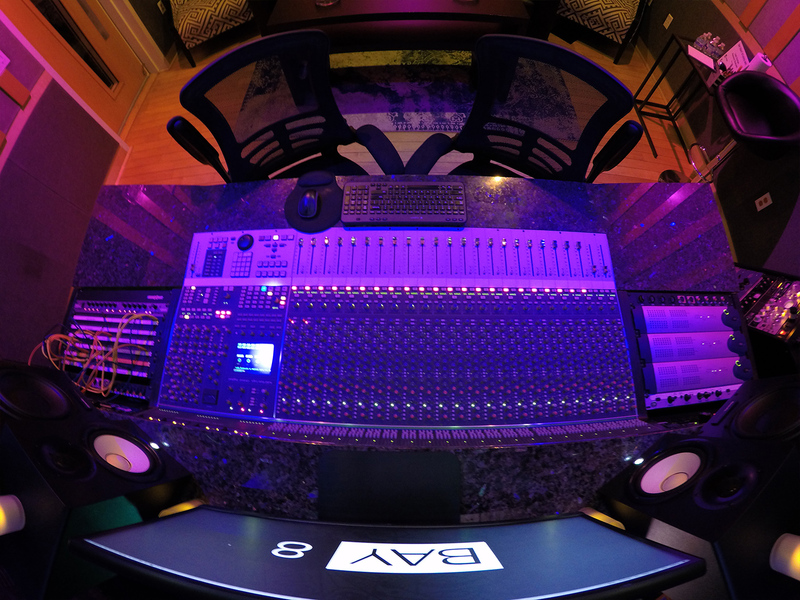 Look if you want to leave your session, beyond satisfied already ready to book your next session check BAY 8 STUDIOS out and thank me later.. 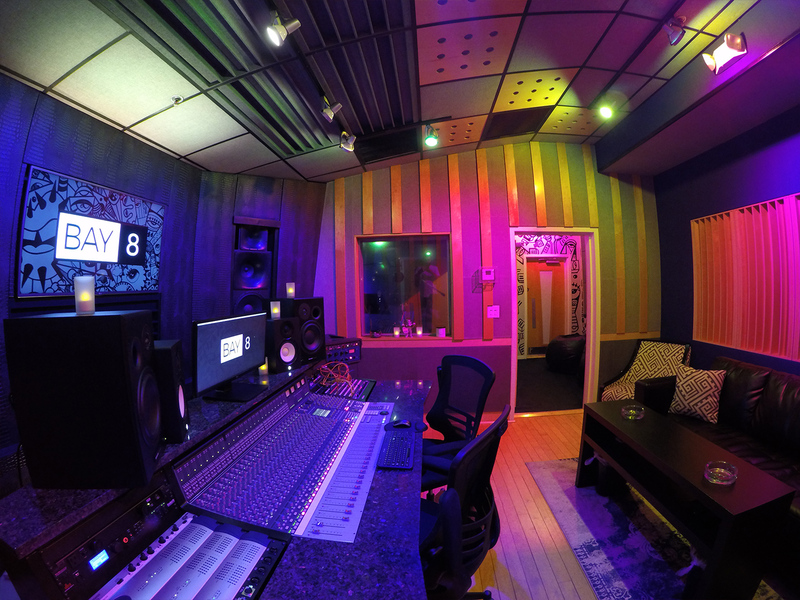 If you are a musician looking for a sacred space to create, record, mix, and master your music then Bay Eight Recording Studios is the diamond in the rough that you have been looking for!! 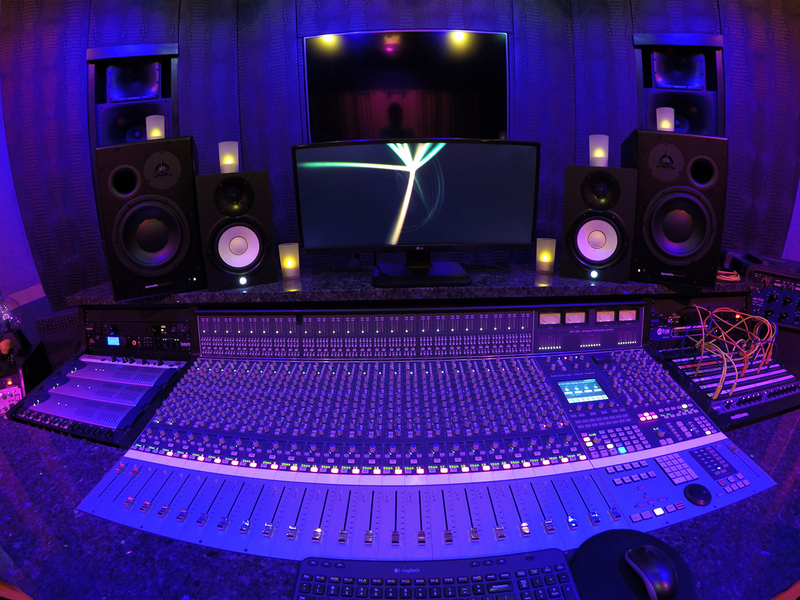 The ambiance, the decor, the vibe, the service, and the talented engineers truly make working there feel like you are in a musical sanctuary.  It is so easy for you to just come in and focus on your work because Bay Eight focuses on the your needs and allows you to be at your best!!! 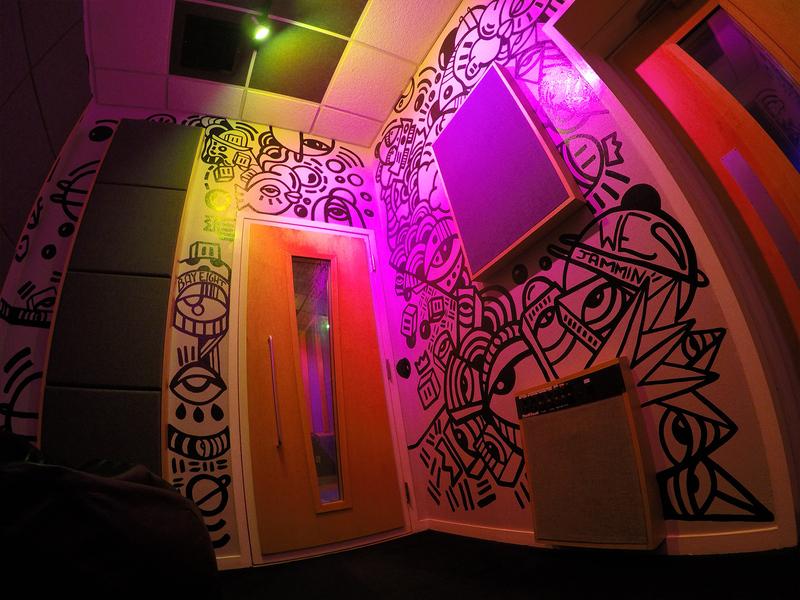 Definitely have found a recording studio that I will call my home!!! Thank you to everyone at Bay Eight, I can’t wait for my next session!!! Amazing experience! This place has it all... 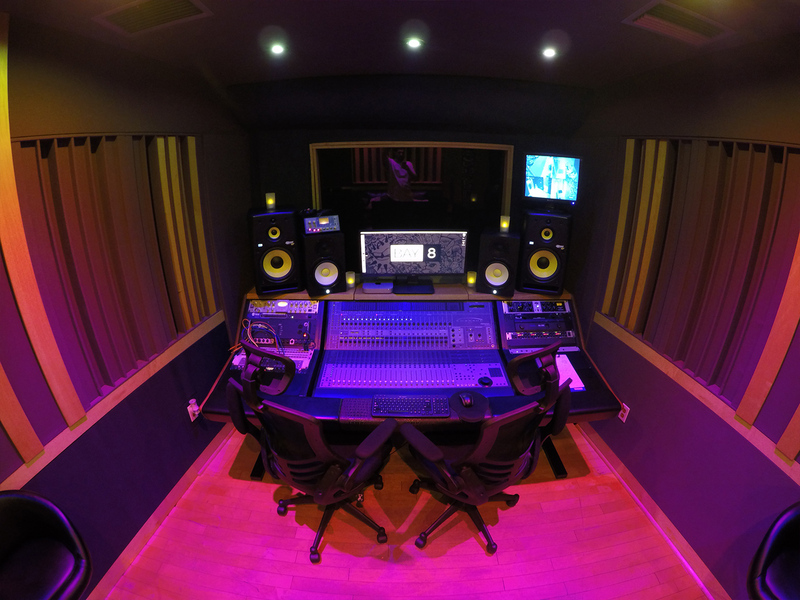 Perfect vibes, to help boost your music creativity. 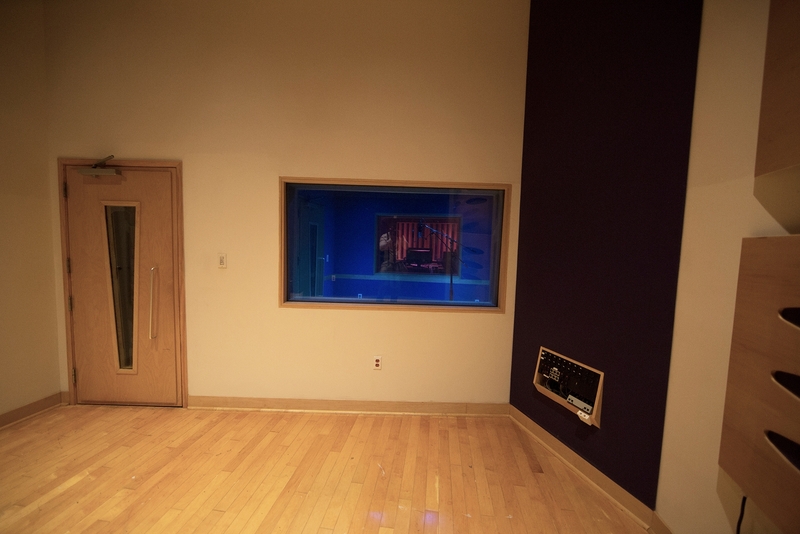 Top of the line equipment from Studio A’s ssl board to the Avalon 737 preamp in Studio C! Staff is second to none. 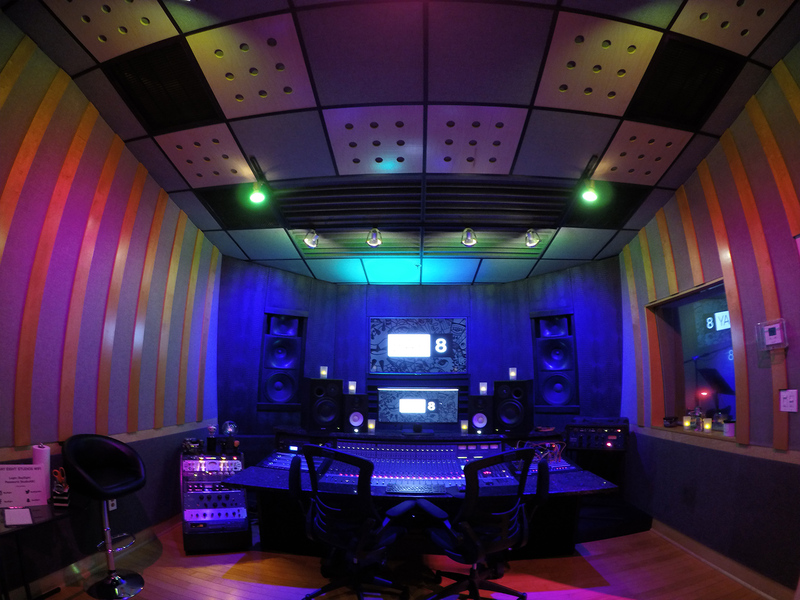 Definitely making this place my first choice for recording when I’m in South Florida. 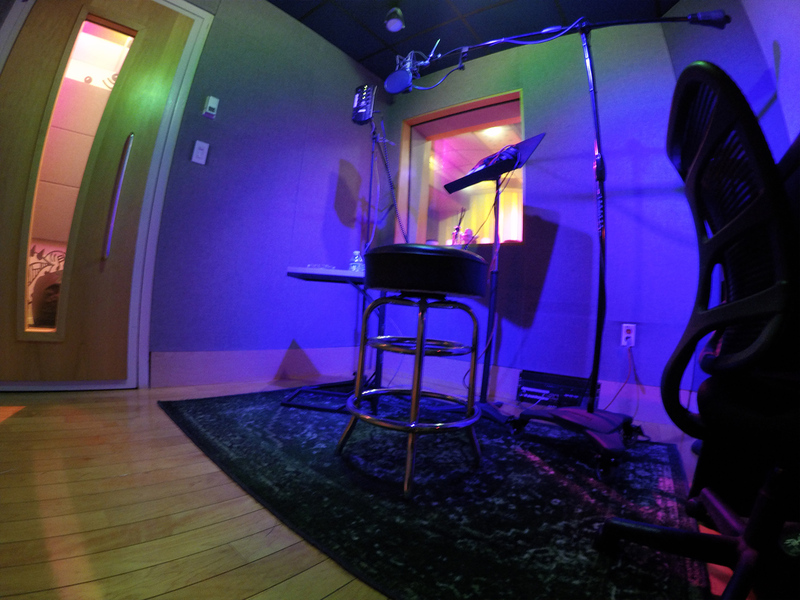 Trust me... you won’t be dissatisfied after your recording experience is complete.  All employees and staff are absolutely well trained and have superior customer service. 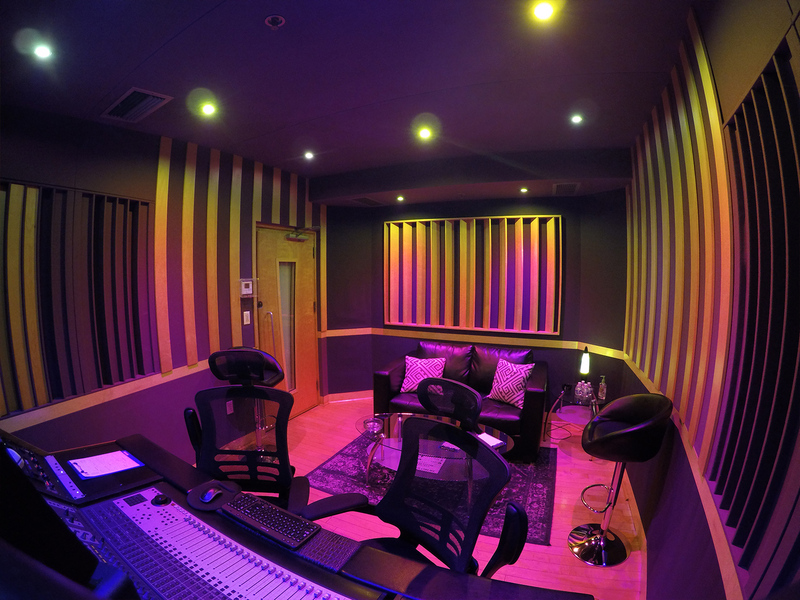 Very knowledgeable on all studio equipment and all that ecompasses a recording studio. 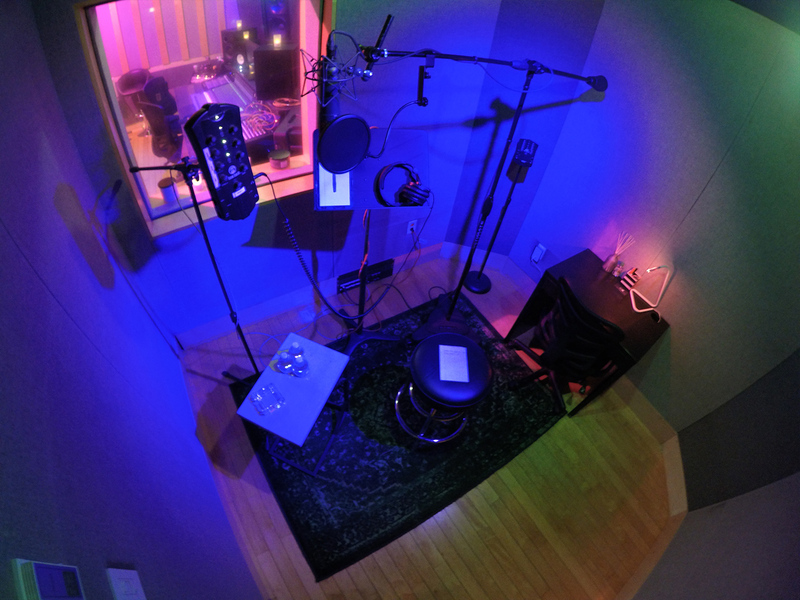 The facilities were extremely clean and the overall location was comfortable with a excellent vibe. Definitely the spot in Miami. SEND A MESSAGE. 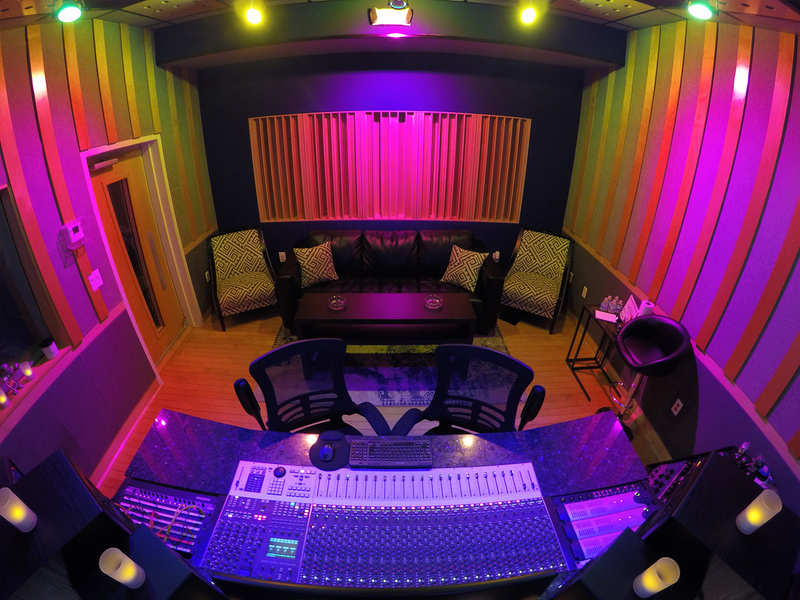 BOOK A SESSION.